Broke a t piece - options? I was a bit too clumsy refitting the plenum and snapped one of the arms of the t piece that with the 3 hard lines (2 of which go to the turbos). I'm looking to replace the t with a metal one and use some rubber hose to join the existing hard lines to the new t piece, alternatively replace the hard lines in entirety. Has anyone done either of these and can advise on sizes. Also would be interesting to knows the price of these lines as genuine parts, but I hope I'm not there yet. A photo and the year of your turbo(?) might be useful. As eloquent as your words describing it are - for the life of me I can't picture exactly what you've broken. Its a 2006 Turbo S (for some reason I cannot create a signature which I'd have listed the details). I can almost guarantee Porsche will make you pay dearly for that plastic line. When the plastic hard line from my brake booster cracked, Porsche wanted over $200 for a 3.5 foot section of plastic line. I almost couldn't stop laughing on the phone with my local dealer. 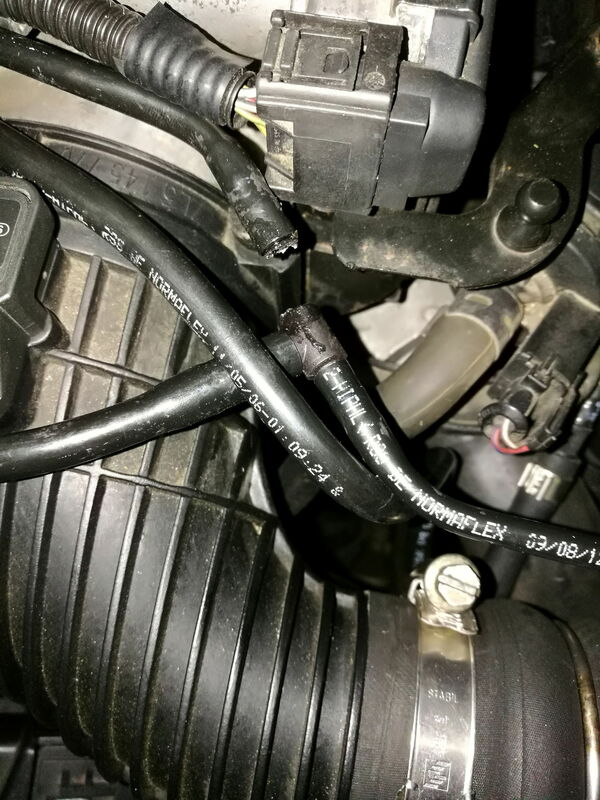 I politely declined the part and used heater host and a few hose clamps to fix mine. I wouldn't be surprised if a government agency decided to bring an antitrust suit against Porsche regarding their pricing strategy on spare parts. Perhaps https://www.grainger.com/product/2GU...181005155709:s - something like this. I'd measure the OD size of the broken off stub with a caliper, then start looking. Lots of barbed T-fittings online. Brass, plastic, stainless..
Porsche is especially proud of the effort they put into scratching off VAG part numbers and replacing them with Porsche part numbers. All that work surely justifies the 100 to 400 percent markup, right?! The real problem is that over time the prices of these already severely overpriced pieces are only going up. It's good to be a stealership. As mentioned. Buy a new plastic T from the auto parts store. Add a little heat to the line and it'll pull right off. Heat and a little RTV sealant will make the new joint leak free. I have repaired the same joint pictured using this method. Cheers guys, I have no doubt that Porsche would empty my wallet for these parts. I carried out my repair today. Got a t-piece with brass barbs off of Ebay and used some vacuum line I had laying about. I snipped the remaining 2 hard lines off the remains of original t and persuaded the vacuum hose over the ends to hopefully give a good tight seal without jubilee clips. 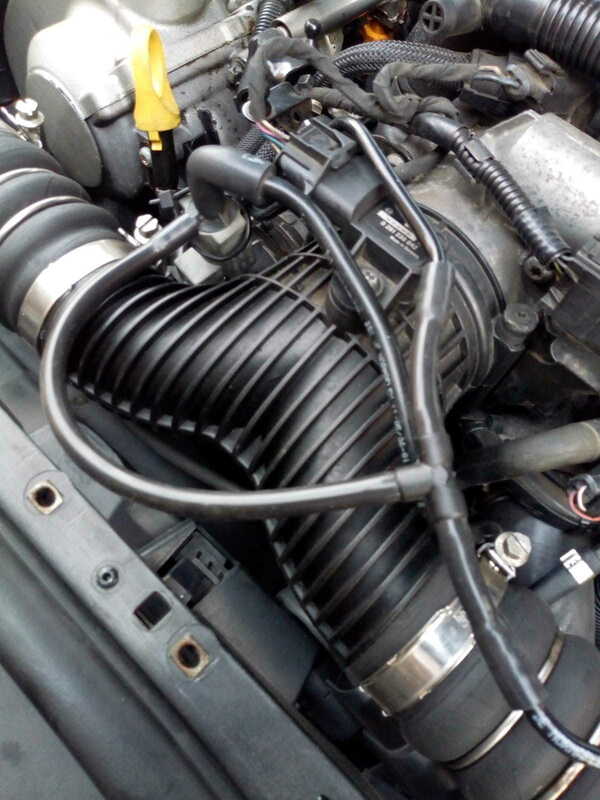 The pipe to the N36 valve was too wide a diameter to do that to, so I fully replaced that with the new vacuum hose. The hose and t piece were only 4mm, so we'll see how it goes. It could do with being neatened up a bit, but tbh I normally leave the beauty covers off for easy access so may leave it as is. Transmission isn't faulting out now, but I've still got a MAF to TB leak according to my code reader, but at least the Cayenne seems much happier now. DIY repair of broken T piece. Last edited by Chrali; 10-13-2018 at 07:35 PM. Looks good to me. A most satisfactory repair avoiding the Porsche parts prices..